Port Townsend, today. 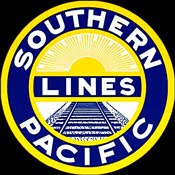 So here we go again, with our brightest and best politicians gathered together rejoicing in the announcement from the White House that federal funding will be made available to develop “high speed rail corridors” in 10 different locations around the country, including the Pacific Northwest. I doubt the bureaucrat who decided the dollar amount to be made available has a clue as to what “high speed rail” is, unless they ride Amtrak’s “Acela” between Washington and New York. And running at an average speed of 85 miles per hour, the “Acela” is stuck in second gear, when compared to true “high speed rail” systems around the world. Express HSR: Top speeds of at least 150 mph on completely grade-separated, dedicated rights-of-way, with few stops between cities. Regional HSR: Top speeds between 110 to 150 mph on completely grade-separated with some shared tracks and some intermediate stops. Emerging HSR: Top speeds of between 90 to 110 mph on shared tracks with protected grade crossings. Yet another definition of HSR, contained in PL 110-432, P 26106(b)(4) defines HSR (sic) "as any train running over 110 MPH." “Because of Federal Railroad Administration (FRA) safety requirements, an Acela train is nearly twice as heavy as France’s TGV (Train à Grande Vitesse— French for high-speed train), which is also manufactured by Alstom. Acela’s floor is reinforced to protect against debris on the tracks. Unlike Europe’s high-speed corridors, the Northeast Corridor is only partially fenced; it even crosses some highways at grade. 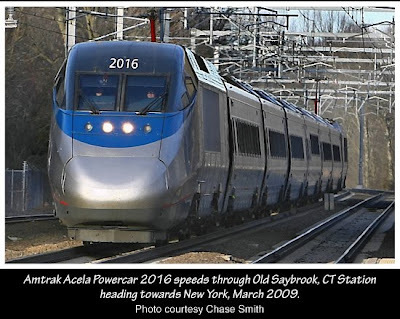 Amtrak wanted to run a push-pull configuration, but the FRA under the Clinton administration said a cab car did not meet crashworthiness standards, so another locomotive was added at the other end. The train is overpowered. Even with a single locomotive, the Acela can run at 200 mph, but FRA rules do not allow speeds above 150 mph on tracks shared with freights and slower passenger trains. Acela averages just 80-some mph, and rarely goes faster than 130 for small stretches. Its speed is limited by curves, tight confines in tunnels—especially in Baltimore—freight traffic, and other drawbacks that make true high-speed performance impossible. Further investigation of the Acela program demonstrates further squabbling with the Federal Railroad Administration, when an “off the shelf” train configuration was suddenly trashed. From my observations on the subject of HSR, one point is abundantly clear. Grade Separation is an uncompromising requirement for HSR. Simply put, keeping things off the track. And keeping vehicular traffic from crossing the track. Several years ago, I was fortunate to have ridden the “Eurostar” from Paris, through the Chunnel, to London. Speedometers are mounted on the wall at the front of each car. We pegged 185 miles per hour on several stretches. Passing an opposing train is very dramatic. With a closing velocity of 370 miles per hour, all you see is a grey blur. All you hear is a loud “whoomph!” The sensation of riding the train is similar to riding in an airliner down the runway, without taking off. At 185 miles per hour, a train is covering almost the length of a football field in 1 second, 271.33 ft/sec to be exact. Put another way, 3.08 miles in 1 minute, 1.54 miles in 30 seconds, ¾ of a mile in 15 seconds. If you decided to pull out around a crossing gate to drive across the tracks when you first made out the train, you’d probably never make it. And the engineer, recovering from the shock and realization that he actually hit you, would be 3 to 5 miles down the track before he had time to react and begin emergency braking. I would encourage you to take a few minutes to educate yourself on the problems grade separation, particularly in the 30 miles between Seattle and Tacoma. The air horns blare almost constantly from the time the train heads north from Tacoma up to Seattle. 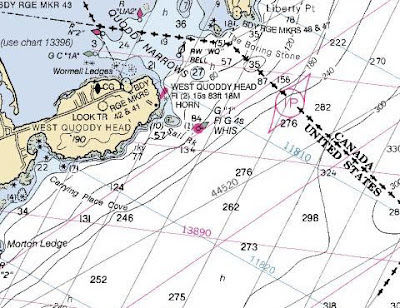 Bring up either Google Earth or Google Maps, and exploring the corridor between Seattle and Tacoma. Look at all the grade level crossings. If you live near the other corridors, you can conduct your own aerial survey. · For 110 mph or less: Grade crossings are permitted. States and railroads cooperate to determine the needed warning devices, including passive crossbucks, flashing lights, two quadrant gates (close only 'entering' lanes of road), long gate arms, median barriers, and various combinations. Lights and/or gates are activated by circuits wired to the track (track circuits). · For 110-125 mph: FRA permits crossings only if an "impenetrable barrier" blocks highway traffic when train approaches. · Above 125 mph: No crossings will be permitted. Grade separation can be accomplished. But is expensive, takes forever to complete, and is ugly. Either the rails have to be elevated above vehicle traffic, or lowered below vehicle traffic. This can be accomplished with fly-overs or under passes, but both solutions would involve purchasing properties and home and business displacements. Or something more definitive, like a trench! 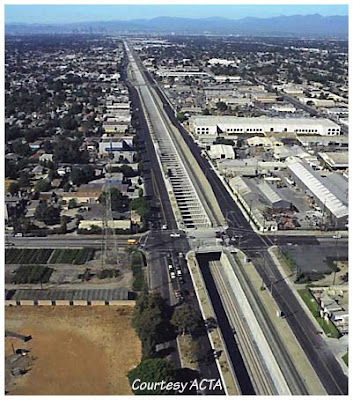 You may or may not be aware of the massive civil engineering projects that have been completed, and are still underway, in the Los Angeles area to achieve grade separation between rail and highway systems. 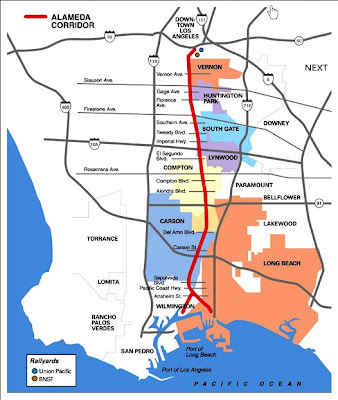 Years ago, the Burlington Northern Santa Fe and Union Pacific were absolutely stymied trying to move freight from the container facilities at Long Beach and San Pedro. Unbelievable traffic congestion was created dragging a 7,000-foot train through more than 200 grade level crossings in Los Angeles. And repeating that up to 25 times a day! 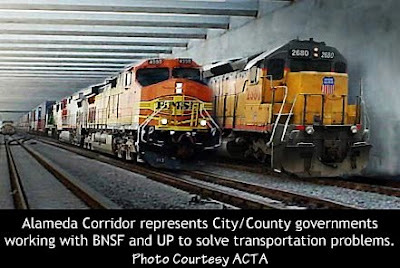 To address this traffic separation problem, the Alameda Corridor Transportation Authority brought together creative problem solvers from city governments, and both the Burlington Northern Santa Fe and Union Pacific Railroads. Obviously the railroads are in competition, but their common goal was to move freight off the docks without destroying the quality of life along that transportation corridor. 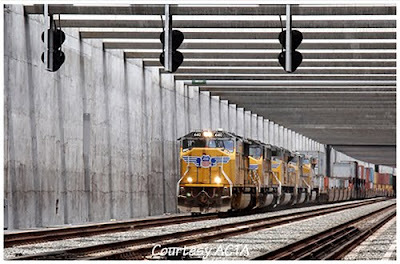 The centerpiece of ACTA is a twenty-mile long project featuring a 10-mile long trench, 51 feet wide, and 31 feet deep to accommodate double stack container trains. “The Trench” took several years to complete, passing its first train on April 15, 2002. But my god, what an ugly blight on the landscape. Monies to pay for this on going project come from a variety of sources, including shippers, as reflected in this current tariff posted by the Burlington Northern Santa Fe. 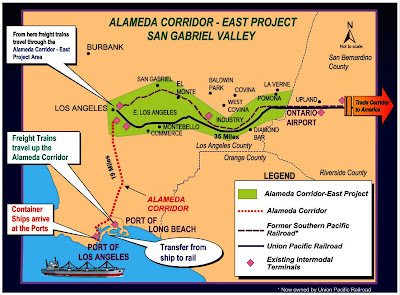 And while that project is now complete, it is only a piece of a greater on-going plan to separate rail and road, with the much larger, more complex Alameda Corridor – East (AC-E) project! Yet another unsightly trench, part of the AC-E complex, the 2 mile San Gabriel Trench is slated to begin construction next year, 2011. And what is the impact on society brought about by these railroad trenches? Are the "Trenches of California" seem a likely scenario in the Duwamish Watershed? There is no other way to place HSR in the Northwest. If you live here in the Pacific Northwest, and haven’t treated yourself to a ride on the “Cascades, ” you cannot make an informed judgment on the “state of rail travel” in the Pacific Northwest. In addition to the nightmare alignment between Seattle and Tacoma, long stretches north of Seattle along Puget Sound continually slide onto the tracks. 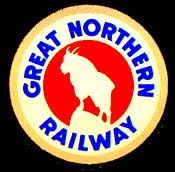 A situation that goes all the way back into the history of the Great Northern Railroad' s construction era. A definitive solution would be required for HSR to exist. 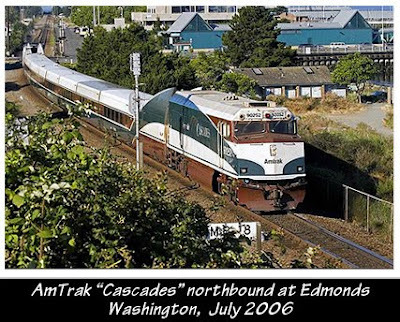 Last year, the Washington State Department of Transportation along with the BNSF and others, identified a number of immediate what I call “reality based” improvements that would allow Amtrak and freight operations operate more harmoniously with each other, and increase efficiency of both, in a realistic manner. If some of this money could at least get that Toonerville Trolley up into the 90 percentile range for an on time arrival performance, that alone would be worth the money! Last year, Eurostar, despite the disastrous equipment failures in the Chunnel, posted a 95% on time arrival performance. The last numbers I saw stated that the Amtrak “Cascades” has a 62% on time track record. And that was up from the high 50’s when I last tortured myself between Vancouver Washington and Seattle. If the recently released dollars were to be applied to achieving the “reality based” improvements identified by the WSDOT/BNSF document, that would be good enough for me! But it won’t be High Speed Rail running at 180 miles per hour! 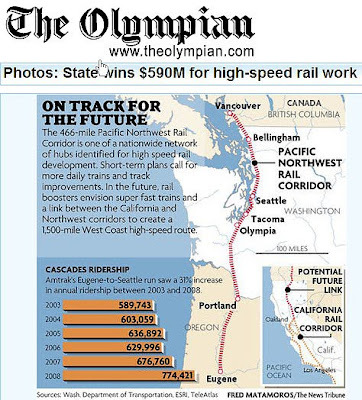 The notion that a true High Speed Rail corridor will be constructed between Eugene and Vancouver British Columbia is so far beyond fiscal reality, that all this hoopla about HSR coming to the Northwest is so much geoduck! 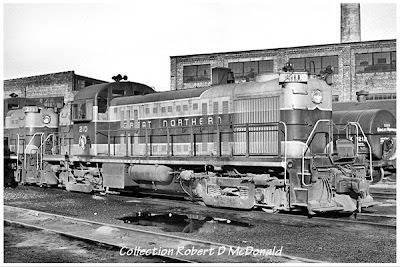 Canadian National Railways, Prince Rupert BC, August 26, 1959. I was just 16 years old when I took this photograph, with my 2 1/4 by 2 1/4 Zeiss-Icon twin lens reflex. This format had a large focus screen on top of the camera, great for composition and focus. It took a while to get the hang of how to best co-exist with a square negative for railroad photography. Locomotives are horizontal, and most formats - 4x6, 5x7, 8x10 - end up with a lot of sky or foreground. On the other-hand, working with the format instead of against it, when I got in the darkroom, I soon discovered I had choices! My subject is vertical, and easily cropped from the square negative. The gentleman shown here is Engineer Bill Geddes. Capital "E" for Engineer. He shepherded me on the first of my many road trips over the CNR I made as a young lad of 14, from Prince Rupert to Terrace, BC. But not without an initiation! My first road trip was on this engine, CNR GMD GP-9L 4215. 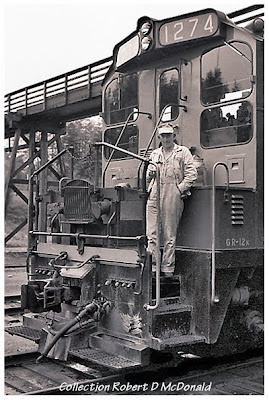 Mr. Geddes, his fireman and head end brakeman welcomed me aboard the Geep. Mr. Geddes asked me if I knew these engines, while rarely, did blow up? Of course I said "No" where upon he hit the brake valve and there was a loud "pop!" as the tissue paper they had stuffed into the exhaust valve opening burst! That got the desired result! The run was about 100 miles. The plan was for me to ride in the caboose to Kwinitsa Station, Mile Post 72.6, incorporating a CNR Plan 100-152 type station, 54 car siding, and Foreman's house, and a then ride the engine the remaining miles to Terrace, BC. These men were not "super heroes" or "gods of the high iron" as writers are sometimes driven to portray them. They were just hard working men, proud to be railroaders, and during this time frame, working through a tough transition from steam to diesel. Armed with only the company timetable, a set of train orders, and a regulated watch, they kept those trains running through the wilderness of northern BC, without positive train control or two-way radios, but with a whole lot of good old fashioned common sense. And for more about the "cloth" these fellows were cut from, I encourage you to venture into Rolly Martin Country, one of my associated reads. Washington State University, Pullman Washington, basement of Gannon Hall, October 1962. As I rummage through boxes of slides and negatives and photographs, the garbage can gets filled. What would possess a person to take four thousand mostly blurred shots of squirrels cavorting on our back deck? Or envelopes full of what I call “black specks?” My wife claimed they were photos of Turkey Vultures. Could have been Bomarc IM-99A Missiles! But then I find gems, like this one. “The Moon Dawg” show is on the air! Spinning the hits that keep on coming! 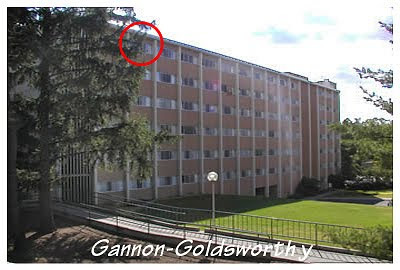 Behind the dark glasses, yours truly, broadcasting to the residents of Gannon Hall, a men’s residence facility at WSU. 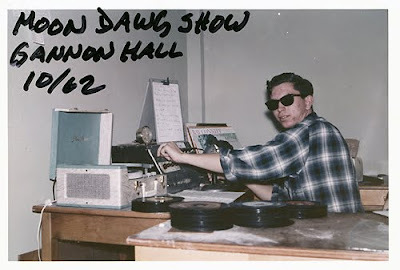 The “Moon Dawg Show” aired on KGH (radio Gannon Hall.) Listener-ship was estimated between zero to as many as a half dozen of my cohorts, downing forbidden tall cool ones on a Friday night up in “suite” 604! Several of us “broadcasting major’s” took turns developing mile high egos, which was not part of the WSU Journalism curriculum! Clandestine to be sure. KGH was the end product of a handful of “double-e’s” (electrical engineering) majors applying their increasing knowledge of electricity to build an “induction broadcasting” system. Somehow, through a mechanism I had no knowledge of, an Amplitude Modulated broadcast signal was “induced” into the building’s extensive A/C electrical system! The only way you could listen to the station was to have an A/C plug in radio and tune the dial to 610 AM – more or less. And then apply a mental “filter” to separate the music from the 60-cycle hum and scratchy static. But it was great fun until the Campus Fire Department shut it down. So what does this have to do with railroading? Well, the mechanism that applied KGH’s AM signal to the A/C wiring throughout Gannon Hall was the same mechanism that allowed the Pennsylvania Railroad to operate its revolutionary “Trainphone” system! This all came together for me when I recently spotted James Appleman’s recent posting on Railpictures of this magnificent General Motors E-8, with it’s signature “hand rails” on the roof! The "hand rails" on the roof were the core of Pennsys landmark communication system dubbed "The Trainphone." It was not a radio system as we normally think of one. 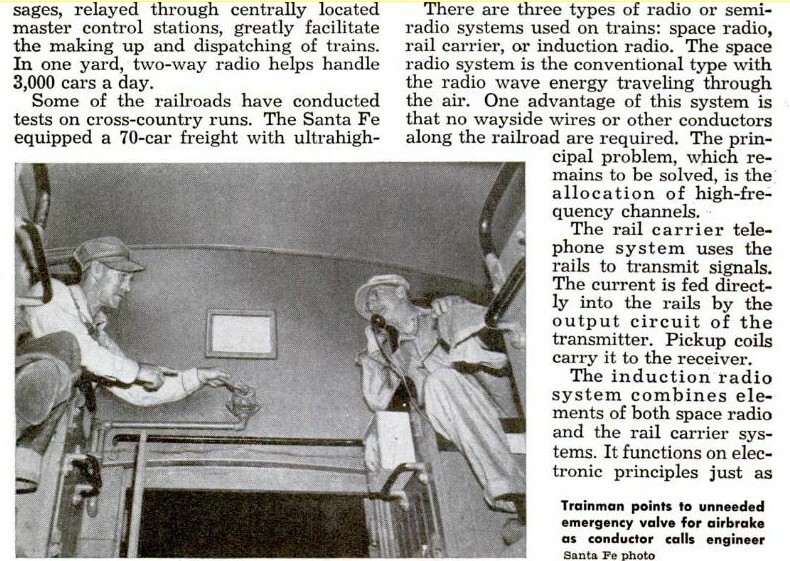 The signal went over the air in a very controlled manner, using the rails beneath the train, and wires adjacent to the tracks to carry the voice signal. The Pennsylvania Railroad, working with Union Switch & Signal Company, devised a radio system combining transmitting through the rails, with a carrier induction system. 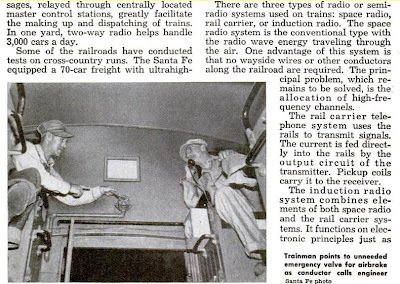 Popular Mechanics magazine, March 1945, did a feature article explaining the induction radio system. The induction system requires three conductors parallel along the path of the sending unit, be it locomotive or caboose. 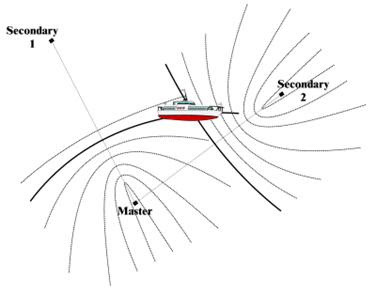 That explains the two distinctive parallel “hand rails” antennas, running the length of the locomotive. The rails provide the third conductor, and in many cases, wires on telephone pole adjacent to the tracks provided that third conductor. 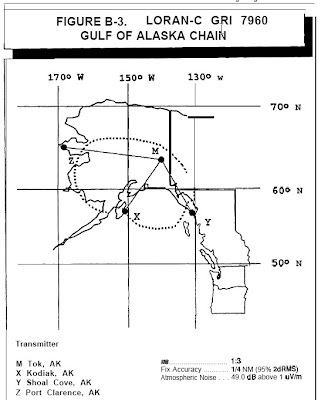 The signal emitted from the antenna, a radiating “induction field,” a “cocoon of radio energy” around the transmitter in the locomotive, caboose, and other sites. 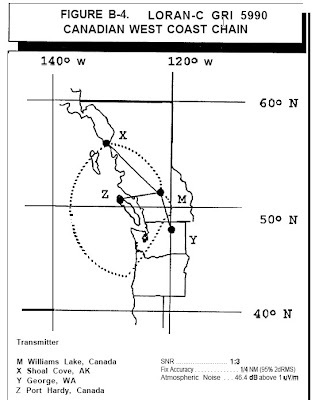 This “induction field” apparently had a range of two or three hundred feet, “inducing” an FM radio signal into the rails and track-side wires. That “induction field” was similar to the superimposing of Radio KGH amplitude modulated (AM) signal to the residence hall wiring system. 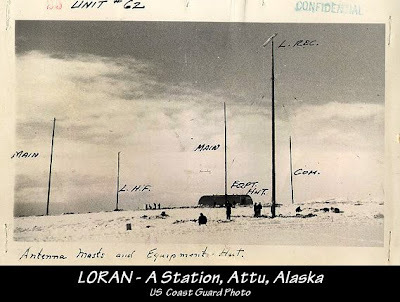 To receive the signal, pickup coils mounted near the rails in some cases, and processed into a voice signal, completing the communication send-receive loop. Shown here is a caboose with a good look at the Trainphone induction hoop. The system was installed on both steam and diesel, allowing communication between the head end and the hack, train to train, train to dispatch and towers. So like the A/C lines in the dormitory carried our induced AM signal, the steel rails and lines trackside, became the carrier medium for the Trainphone radio signal. The frequency modulation (FM) spectrum would have resulted in a clear signal, void of “hum” or “scratchiness.” And there you have the basics of the Trainphone operated. 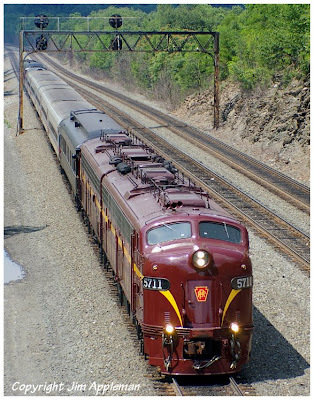 I direct you to the Philadelphia Chapter of the Pennsylvania Railroad Technical & Historical Society, who did a fine job of documenting the restoration of the 5809. There are a number of close up photos of the Trainphone installation and the “hand rails” on top of the E8, well as other aspects of the Trainphone system. I don't know how channels were assigned, nor how many channels the system could accomodate. Please chime in if you can help expand our knowledge of this interesting communication system. 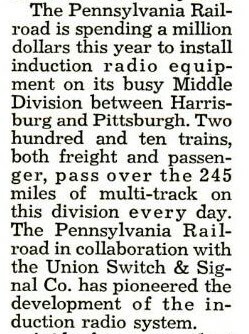 In 1945 the Pennsylvania Railroad inaugurated two-way train-telephone communication system in main line operation, between Albion, Pa. and North Bessemer Yard in Pittsburgh. Perfected in the 1940's, the Trainphone system was phased out in favor of more traditional radio systems in the early 1960’s. 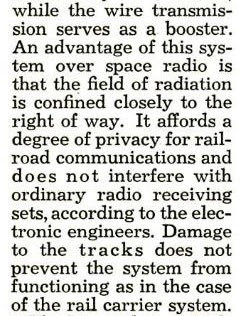 The Pennsylvania Railroad communication systems were considered state of the art and advanced for their era. As early as 1881 – 1887, Thomas Alva Edison invented a system of wireless telegraphy, by induction to and from trains in motion, or between moving trains and railway stations. The system was installed on the Lehigh Valleys R. R. in 1887, and was used there for several years. Edison struggled with induction telegraphy, but never really had any great success. An important problem with which railroads are confronted in recent times, is how to deal with the excessive passenger loads and the high travel speeds. A criterion to solve this problem is to transfer train operation from the hands of humans to control by electronic computers. That is to say, an optimum operation of trains will be realized by installing an electronic computer of an adequate capacity at a central control station, which will exercise an overall control over all trains by means of the computer. As a matter of fact, you may have already experienced the concept of an “induction” system, similar to radio KGH and the Pennsy Trainphone. Inductive Loop Systems are commonly used in churches, passenger stations, even private homes. They broadcast to hearing aids of the hearing impaired. 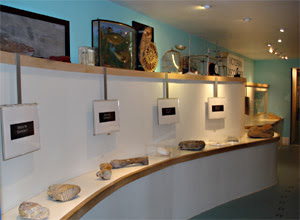 Or, you may have rented headphones in a museum to listen to presentations in front of displays. One very complex system I've enjoyed was at the Aquarium in Vancouver. 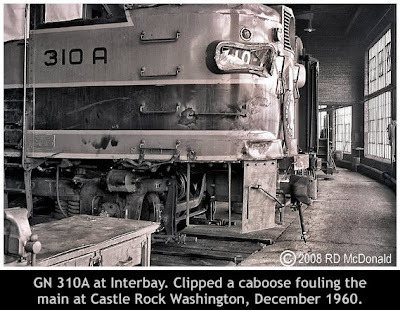 Join the discussion below as we explore this fascinating piece of railroad history. I understand that the Duluth Missabe & Iron Range, and the Kansas City Southern dabbled in the Trainphone induction system, but I’ve been stumped in locating meaningful or credible information about their use. Photo Credit: "Thanks!" 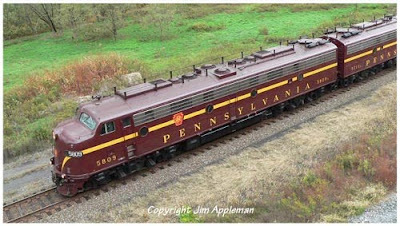 to Jim Appleman for the beautiful Pennsylvania RR photos. [Ed Note: This is a new feature on Oil-Electric; “Guest Editor.” Ron Ferrel wrote today’s article. Ron is a retired mining engineer living with his wife in Beautiful Pocatello Idaho. Ron says he's an "infrequent" rail photographer, but does shoot "local oddities on the Union Pacific in Pocatello." As many of us have lamented, his favorite roads "GN, NP and MILW are long gone." Went to your site to download the NP FT calendar and found some photos of Seattle area (my original home town). 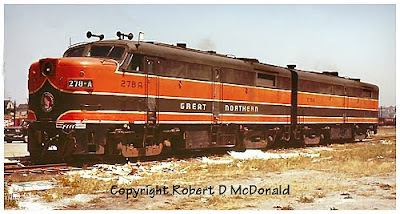 On your blog about GN Alco 276B, you make a comment about numbering an A unit "B". 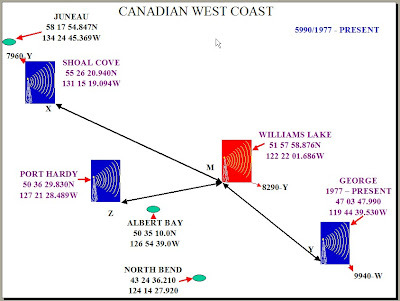 Actually, GN's covered wagon numbering methodology was fairly straight forward if you know how they did it. Loco sets purchased in pairs were A-A and numbered in the 200 series. 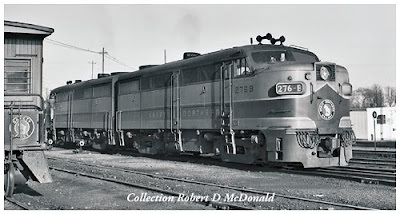 They were separately identified as A and B, hence 276B is the second A unit of a 2 loco set. A 3 unit loco (A-B-A) was numbered in the 300 series and lettered A, B, and C. A four-unit A-B-B-A diesel was numbered in the 400 series and numbered A, B, C, D. That's why you could get an A unit lettered A, B, C, or D. Neat, huh? The Alco demonstrator that GN bought was a 4 unit set A-B-B-A. When they bought it they broke it into 2 A-B sets, 278 A & B and 279 A & B, numbered in the 200's so the B on these are actually B's. For every "rule" there's an exception and the GN was good at those. I think there are some 2 unit EMD passenger sets that are also physically A and B units as well as being lettered A and B. So, you might want to qualify my response a bit. But, anyway, now you know why a GN A can be a B. There were also 200 series FTA and FTB units that had "A's" lettered as "B." Also in the Alco department, they also had 310 A, B, C which was an A-B-A set and a couple of 400 series A-B-B-A sets that I think got sold off to the SP&S. I've found many little items in your photos not intentionally part of the subject. A GN flatbed MOW truck with a partial shell on it, other little things. I remember the Lander street wooden pedestrian overpass. Oh, the MILW 514 (no dynamics) was used on the Everett to Cedar Falls line with a couple of other SD's. One ex-employee said they were called stump pullers and they actually used one to pull the old water tower down in Everett. They only had one fuel tank and the six axles helped spread out their weight on the light railed branch lines. 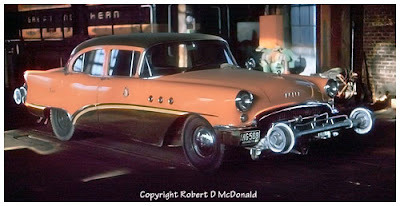 I was just telling my model railroad club buddies about GN using Buicks as inspection cars. A GN exec told us they used them because the staggered 39-foot rail joints would tear a Ford apart, but the Buick suspensions were such that the car rode along very smoothly. So, justifiable largess. There are all kinds of interesting anecdotes to be absorbed as one goes along. On the GN's Alcos--road crews hated them, they were always breaking down and you had trouble stopping them exactly where you wanted. Shop crews loved 'em, guaranteed employment! Got this from an old head who has since passed on. My wife and I have wanted to visit Port Townsend for years but have never managed to actually do it. 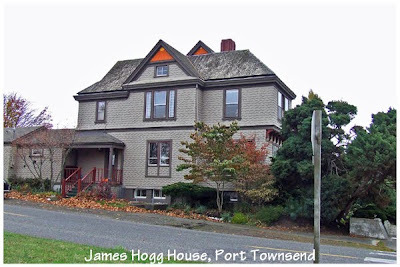 We really like Victorian architecture and I've heard that Port Townsend has a fair amount of it. That's one positive aspect of progress passing one by. Seattle had spectacular Victorians, but now mostly gone. 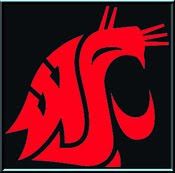 I'm a retired mining engineer, one of the last to graduate from the University of Washington in Seattle. I got interested in mining from the little tracks that ran into underground mines, and then spent my entire career designing open pit mines. Now I can play trains full time. I appreciate your photos from the late 50's to 60's. I learn something new every time I see a "new" one. I lived up on Magnolia hill in 1957 and often dropped down to Dravus street to watch trains, never took any photos though. We invite you to participate as a Guest Editor here on Oil-Electric. All the advantages of publishing a blog article - seeing it in print - without the hassle of managing a blog. If you have a photo or two and a story you’d like to share with our ever-growing readership, click on the email upside-down aeroplane in the right margin, and tell me what you’d like to publish here on Oil-Electric as a Guest Editor. Yes, there is small print. Oil-Electric is a "Toaster Oven Free Zone." That means no Toaster Ovens or Big Macs are allowed. 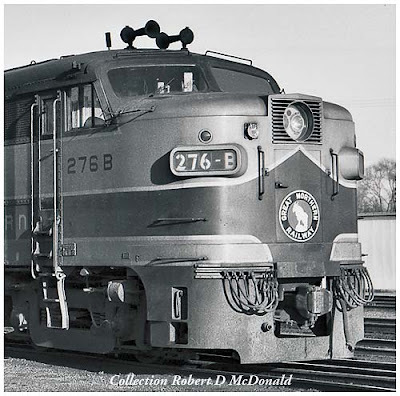 That means, to be a Guest Editor, rummage through those musty files, and find your interesting PRE-MERGER (March 1970) real railroading photographs and anecdotes. We look forward to sharing your stories ... It should be a great experience for you! SP Oakland was at the top of the “rail fan friendly list.” At least that was my experience. 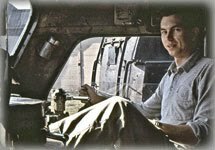 In all of my prowling around rail yards, the only bad encounter I suffered was with an SP special agent at the old Taylor Yard in Los Angeles. After establishing his authority to my friends and I – with two small kids watching from the back seat – he tactlessly ordered us to “take your damn pictures and get the hell outta here!" I found SP 6450 being serviced and I had the opportunity to chat for a few minutes with the hostler. You know, these guys loved to talk about what they were doing. I call it “Pride of Craft.” I wonder if it continues today. He explained that Oakland, being on the east side of San Francisco Bay near the old garbage dump, was a bombing range for seagulls. Furthermore, seagull waste is not only copious, but sticky! And the 6450 had suffered several direct hits! As we chatted, he pointed out the icicle cutters on top of the cab. I'd never noticed or paid attention to these installations! The icicle cutters on the cab roof hopefully cuff down frozen pillars of ice hanging precipitously in tunnels, so that dome passengers are spared a sudden encounter! They also protected cars on the top deck of auto racks, which back in those days were not enclosed car bodies. 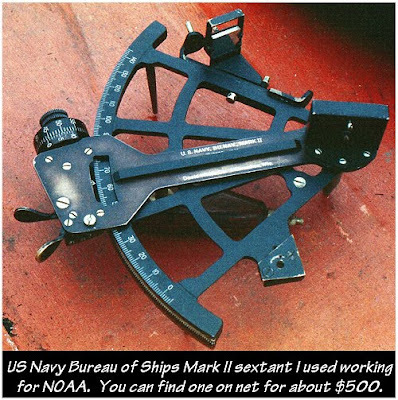 The front cutters puzzlingly had an opening in the center, which was covered by the rear cutter. Perhaps this spacing was intended to spread-the-force of impact. Milwaukee Road icicle cutters had a single full width cutter design, as seen in this presentation. 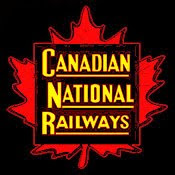 Canadian Pacific had a variation on the spread-impact design. Note the front cutters are further back on the cab body, sacrificing the horn? Also looks to me like the winterization hatch is going to take a direct hit! At any rate, I’ll bet that there must have been a heck of a racket when a locomotive, at speed, hit a sting of frozen tunnel drippings! I wonder how other mountain railroads, that had tunnels which spawned icicles, dealt with them! 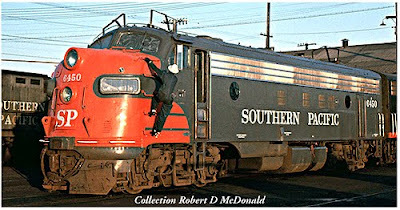 Railroad Stuff: Southern Pacific 6450, built by General Motors at LaGrange Illinois as an FP-7A, 1,500 hp. Built 2/53, sn 18134. May 1971 became Amtrak 114. 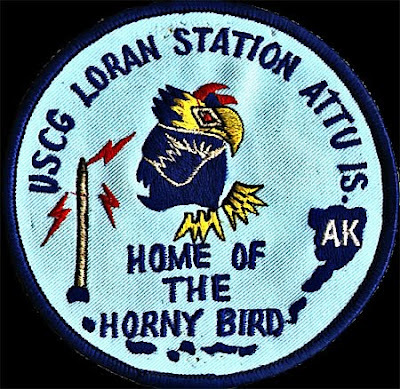 Retired October 1974. Scrapped by Pielot Brothers 1976.